As human beings, we are hard wired for stories. 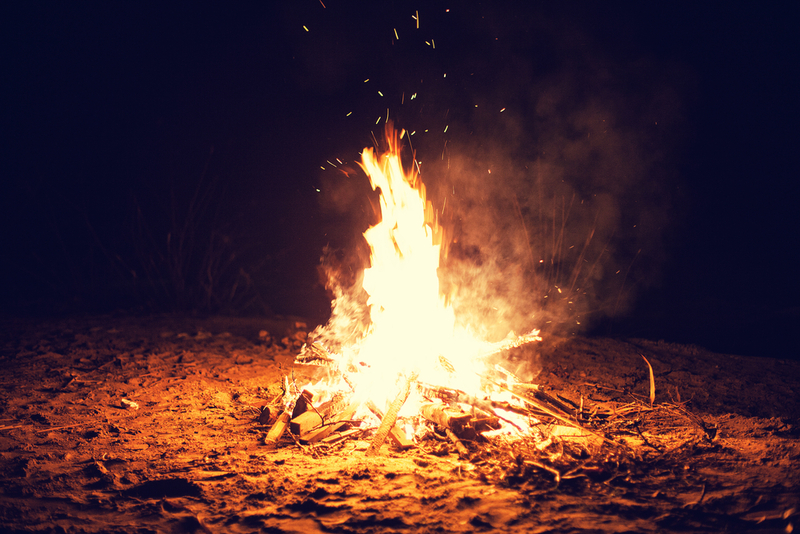 There is a theory that suggests that when man discovered how to fully control fire, not only did this transform our diet, but it also transformed our culture. As fire could extend day, so too could humans sit around together after dark and tell stories. Flash forward to this decade and researchers at Princeton Neuroscience Institute are researching the neuroscience linked to storytelling – revealing that our brains show similar activity when we hear the same story – there is a kind of “brain coupling” going on, a connection between the people. I’m telling you this because I want you to use stories in your technical talk. Oooh, come on! Tax can be fun, too, you know! Remember, facts tell – but stories sell. In the case of your talk, stories will help you “sell” the idea that you know what you are talking about, without the absolute hard sell or turning your talk into mere “blah blah”. I imagine that when you speak at a conference, you want to position yourself as an expert in your field, and convince the audience that you can help them in their business. I’m going to let you in on a secret: when you put a whole bunch of words on the screen and recite the legislation to the audience, the audience are not automatically going to think – “Oh, (s)he knows her subject”. If they don’t understand anything you are talking about, the audience may simply conclude that you know how to copy paste the legislation, but you don’t necessarily know how it works – and certainly not how to help them implement it. Stories are going to help you convince the audience that you know how to translate this technical topic into their every day lives. Here are three ways you can use stories in your technical talk. When you speak in public, part of your task is to establish your credibility. If the audience doesn’t believe you can bring them value, they are likely to switch off at an early point. But your audience will want to know whether you know how the topic impacts them and their business on a day to day basis, and whether you can help them mitigate or optimise the application. Stories and examples of cases you have dealt with are going to be great ways to demonstrate that you know how the topic applies to their life, and how you can help them out – without you needing to resort to reciting your CV to convince them that you are credible. Let’s face it – you are a very smart person working in a very difficult field. And let’s face this too – your audience are no less smart, but they are probably not going to be experts in the same field as you. There are going to be some really difficult bits in your talk that you will need to explain. One way to break down the difficult stuff and make it more accessible to your audience is to use stories and analogies. For example, say you are talking about data protection, sensitive information, and all the ways you might be processing the data of your customer. Why not take an example of something that most folk in the audience will have done – buy an air ticket on line – and walk the audience through a story about someone buying the ticket and the types of information that would be collected, what is sensitive and not, and what the company collecting it would need to do with it. In one of my last blogs (The 1-2-3- of shoe shifting) I talked about shifting perspective away from that of the speaker, to the perspective of the audience. In the article I asked you to think about, among other things, what is important to the audience. This could include things like: saving money, making money, reputation of their business, being more efficient, looking good. It is likely that the topic you are talking about is going to impact one of these aspects. For example, if the audience doesn’t apply the regulations you are talking about, this could have a big impact on their reputation, thereby reducing client trust, and losing the business clients and revenue. Or, if the audience follows the steps you are explaining, they could save a fortune because they optimise their VAT partial exemption method, for example. So, let’s tell them about examples of when this has happened. What stories can you tell about your own experience or that of your clients that can really bring home the worst or best scenarios? You see, all this is not rocket science. When you remember that your audience is made up of human beings who want to connect and who love to hear stories, and you let go of any idea that you need to prove to them how intelligent you are by keeping your talk completely serious, you can bring stories to your talk that will help you connect with your audience and start to bring your subject to life. Even when you are talking about tax.